The three Congress leaders are travelling from the airport to the party's state headquarters in an open top bus. More than 28 spots have been identified on the route from Airport to UPCC office in Mall Avenue area where the three leaders will be felicitated by party workers. The trio is expected to address the crowd and media at Lalbagh trisection, post which they will head towards Hazratganj where they will garland idols of Sardar Patel, BR Ambedkar and Mahatama Gandhi before finally heading towards party office. After her brief appearance before the media while dropping off husband Robert Vadra at the Enforcement Directorate office in Delhi on Wednesday, the Lucknow visit will mark Priyanka’s first public appearance after formally joining the party. 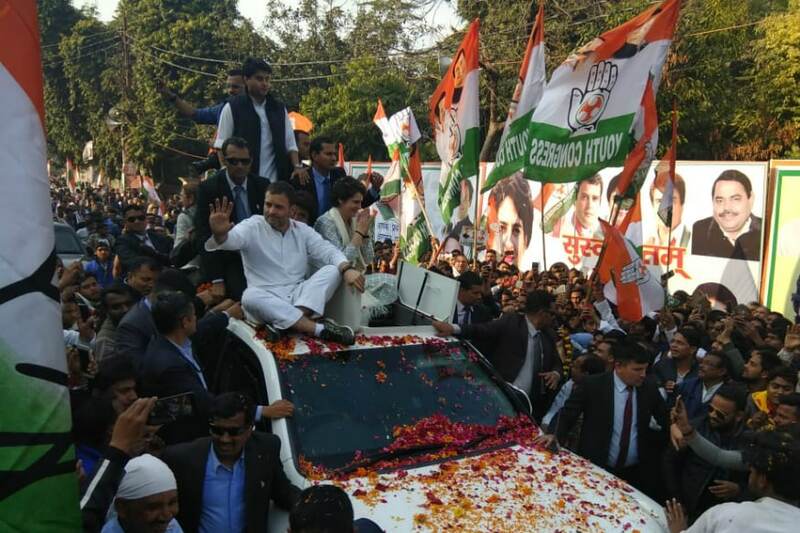 The party in Uttar Pradesh is seeing the visit as the virtual launch of the Congress campaign in the state. "Come, let's build a new future, new politics with me. Thank you," she said in her message to the people ahead of the visit to the state.